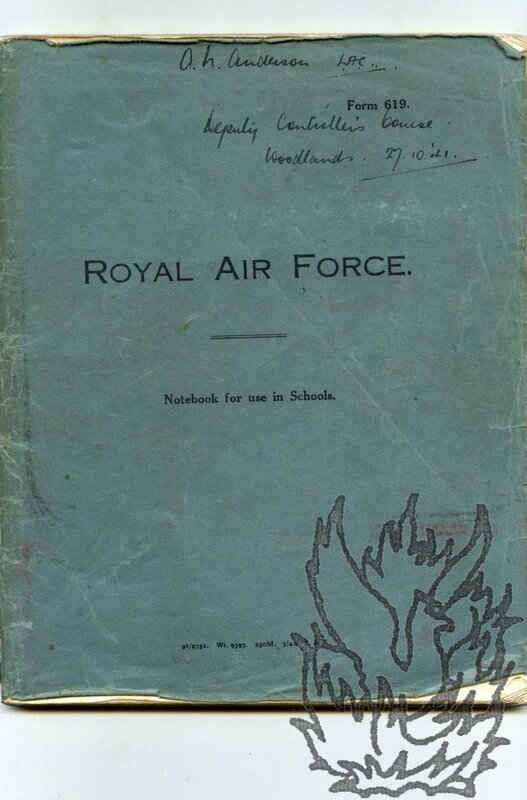 Autograph Manuscript Notes for 'Deputy Controller's Course', in official Royal Air Force notebook. 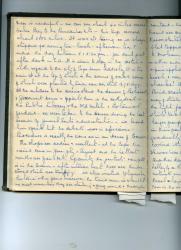 With two mimeographed typed documents relating to the Course, including one with introduction by Wing Commander Bradford. 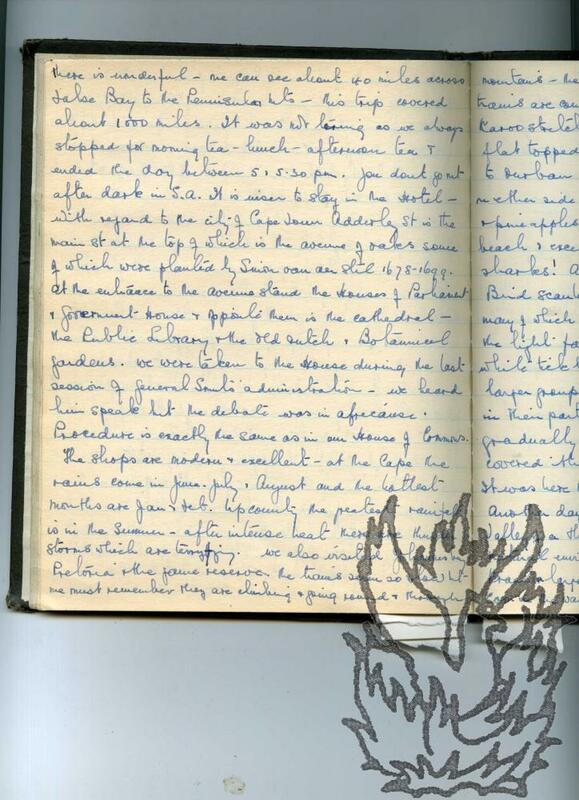 Notebook dated by Anderson on cover 'Woodlands, Clamp Hill, Stanmore. 27 October 1941.' One of the mimeographed documents dated from Woodlands, 26 June 1941. 4to 'Royal Air Force. 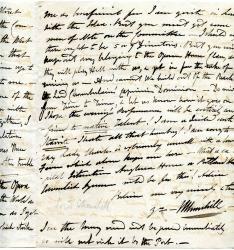 Notebook for use in Schools', with Anderson's notes in pencil on all but 11 of its 96 pp. Text clear and complete, written in a neat, tight hand, with diagrams and tables. 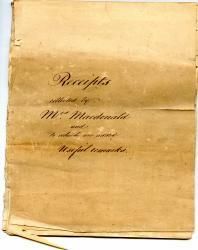 Fair, on aged paper, with slightly dog-eared corners, in worn and creased wraps. 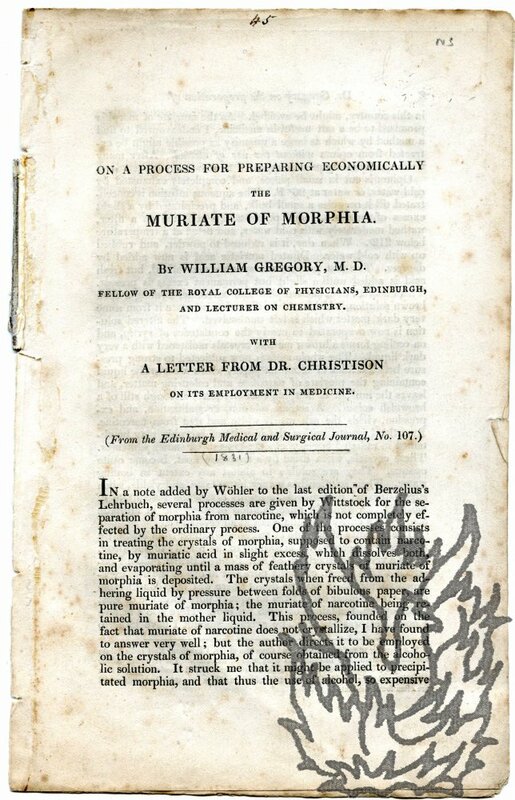 Ownership inscription on front cover of 'A. H. Anderson L.A.C. | Deputy Controller's Course | Woodlands. 27.10.'41'. Providing important first-hand insights into the procedure of the RAF during World War II. 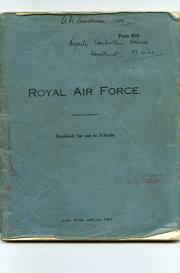 Subjects include 'Fighter Command Organisation', 'I.F.F. (Identification friend or foe)', 'P.P.L. 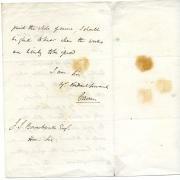 Autograph Letter Signed ('Chas Landseer') to [Walter F. Stocks]. 30 January [1870? ]; Royal Academy, on letterhead of the Athenaeum Club. 12mo, 2 pp. 15 lines. Text clear and complete. Good, on aged paper. 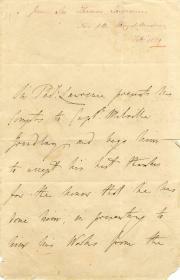 Providing a 'recommendation as a teacher' for his correspondent, 'in the neighbourhood of Leamington'. 'My observation of the progress you have made, during your studentship at the Royal Academy enables me to state, that, you are, in my opinion fully competent to undertake the teaching of the elementary branches of art'. 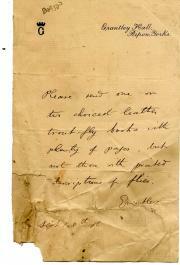 From a small archive of Walter F. Stocks's correspondence. 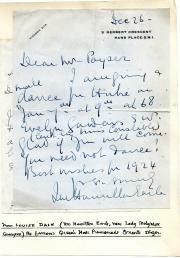 Two Autograph Letters Signed (both 'W Boyd Carpenter'), the first to Walter F. Stocks and the second to an unnamed male correspondent on the occasion of Stocks's death. 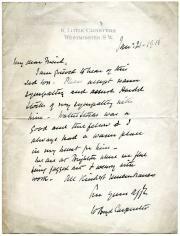 The first letter undated; on letterhead of The Cloisters, Windsor Castle. The second 21 January 1916; on letterhead of 6 Little Cloisters, Westminster SW. 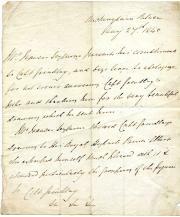 Both items with text clear and complete, on aged and discoloured paper. 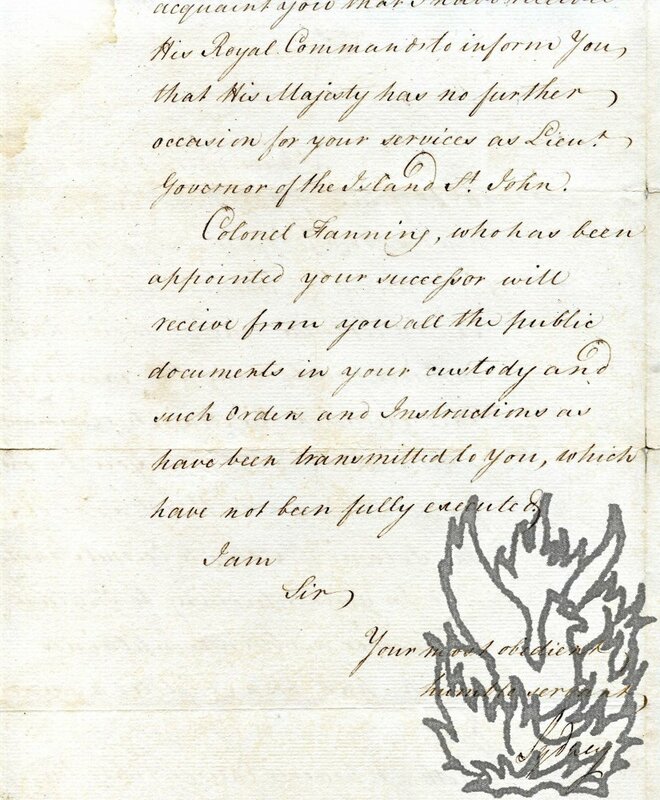 First letter (12mo, 1 p, 14 lines): He informs Stocks that he will be 'delighted to do what you ask [...] it will be a sincere pleasure to me - There is only one If - which I hope will be but a formal one'. He will be on duty at Windsor Castle till 15 December, but has 'no doubt the Dean will take my place'. 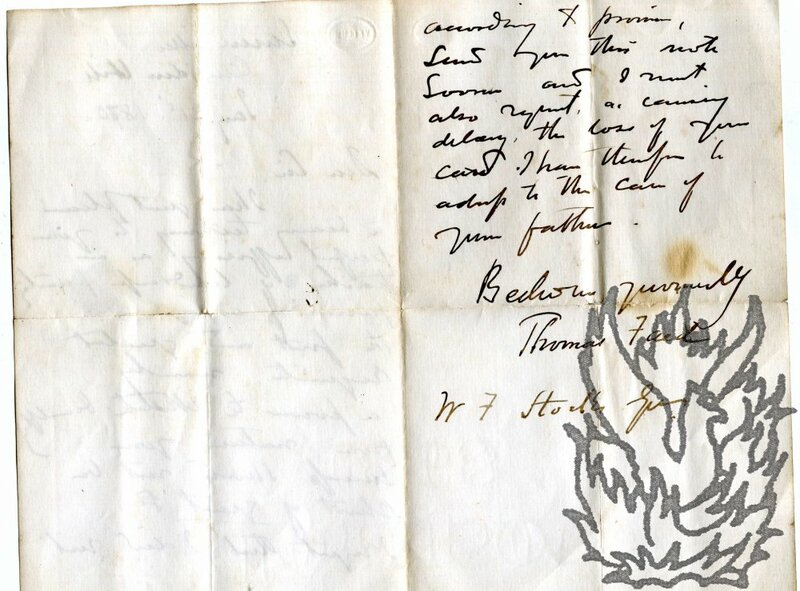 Second Letter (12mo, 1 p, 11 lines): He is 'grieved to hear of this sad loss [...] Walter Stocks was a good and true fellow I always had a warm place in my heart for him'. 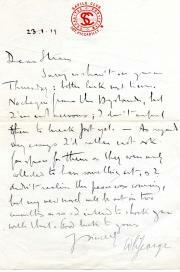 Long Autograph Letter Signed ('Considerably Older Mrs. T.') from Angela Thirkell to 'Dear Em' [Mrs Meinertzhagen]. 27 April 1956; on letterhead of Mrs G. L. Thirkell, 1 Shawfield Street, London SW3. 4to, 2 pp. 44 lines. Text clear and complete. Good, on lightly-aged paper. With stamped envelope addressed in autograph. Discussing the appalling final illness of 'poor Margery', beginning 'What happened was Cruel. Quite suddenly and I forget now how long ago - perhaps 3 months - all her insides fell out as it were. 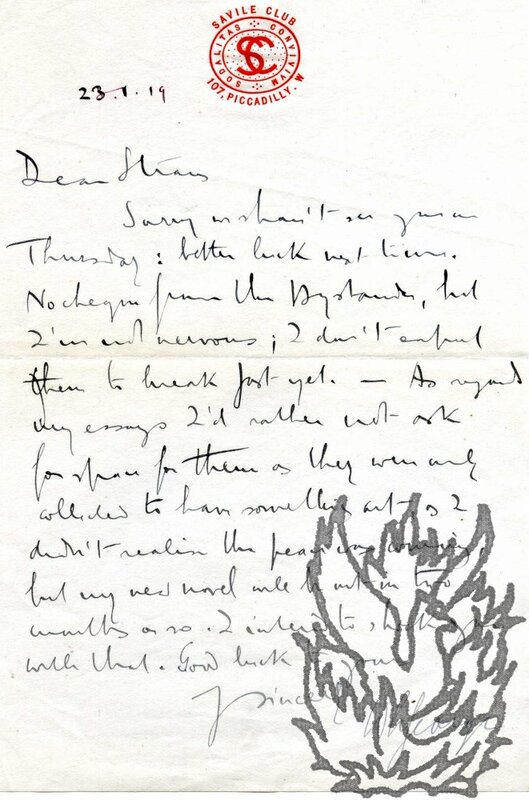 Autograph Letter Signed ('W L George') from the novelist Walter Lionel George to the writer Ralph Straus, regarding payment and literary work. 23 January 1919; on letterhead of the Savile Club, Piccadilly. 12mo, 1 p. Twelve lines of text. Clear and complete. Good, on lightly-aged and creased paper. 'No cheque from the Bystander, [...] my new novel will be out in two months or so. I intend to shock you with that.' Perhaps referring to George's 'Blind Alley', or 'Eddies of the Day', both published in 1919. Manuscript journal of a South African lady, 1948, returning after many years in England, including an account of her memories 'of the Cape as a girl'. 4to, 166 pp. In ruled 'University Exercise Book'. Text clear and complete. On lightly aged paper, tight, in shaky binding with worn boards. The identity of the diarist is unclear. Her husband is named 'Berten', and their are references to 'Minie' (daughter?) and 'Kate' (South African sister-in-law?). 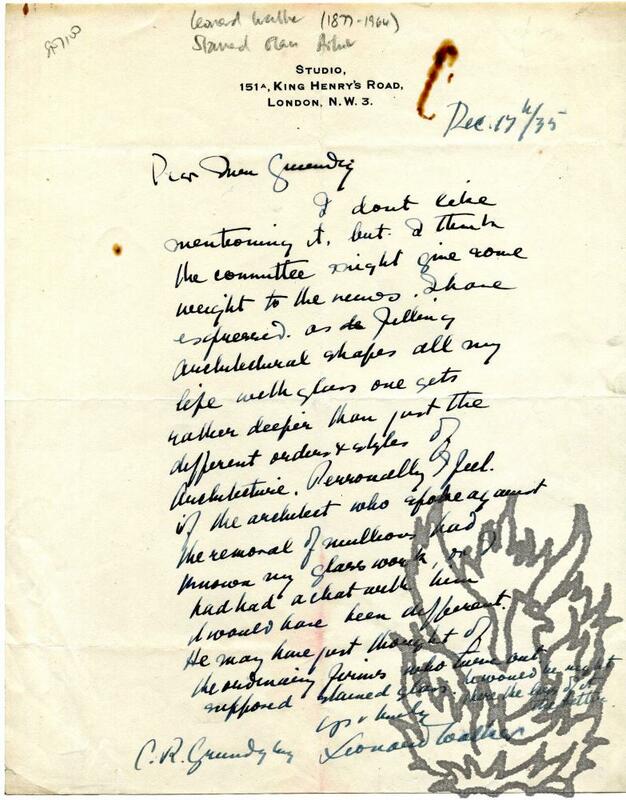 A loosely air mail letter may provide a clue to the identity of the diary's author. 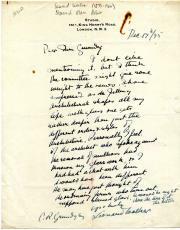 Dated 30 April 1962, it is written by P. J. Duncan of Newlands to Miss Ruth Ince-Jones (diarist's daughter) of Geneva, Switzerland. Autograph Note Signed ('M. Willson Disher') to the Secretary's Office, Clarendon Press, accompanying a statement of his 'qualifications'. 16 December 1948. 24 Bradstock Road, Ewell, Surrey. 4to, 1 p. Trimming at head has resulted in loss to the first line of Disher's address; otherwise text clear and complete. 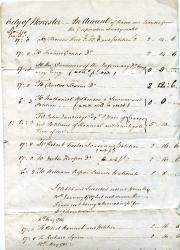 On lightly-aged and creased paper, with jagged trimming at head and in bottom right-hand corner, and three punch holes to margin. Bearing the stamp of the Secretary's Office, Clarendon Press, Oxford. He is returning the 'corrected typescript' and is setting out his qualfications. 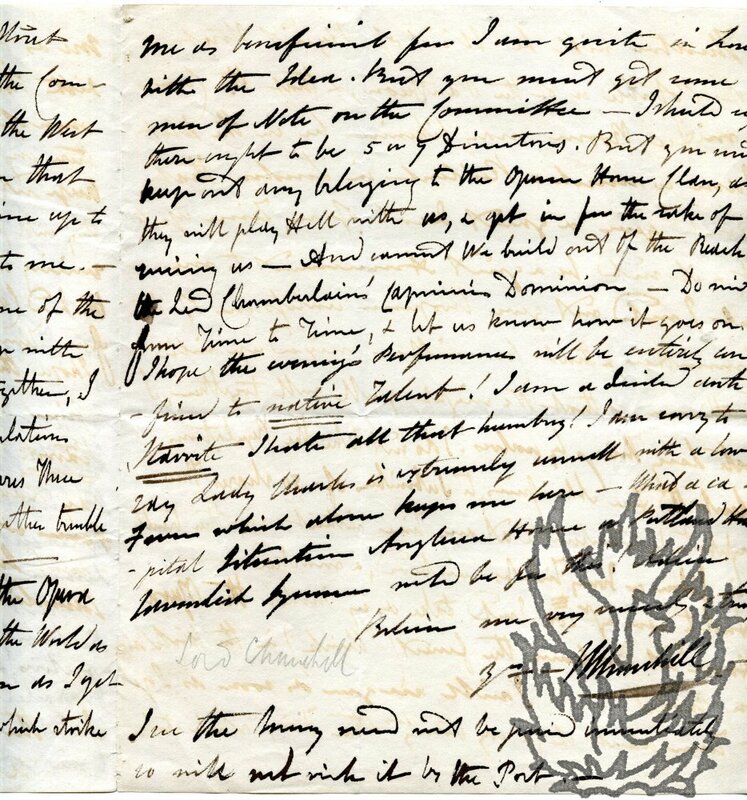 The bottom section to the letter contain eight lines of these. Disher describes himself as 'contributor to leading journals on the subject of public entertainments in general'. Three Autograph Letters Signed (two 'Leonard Walker' and the other 'L. 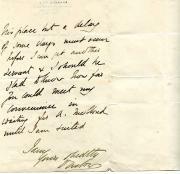 W.') to C. R. Grundy, concerning a stained-glass window. 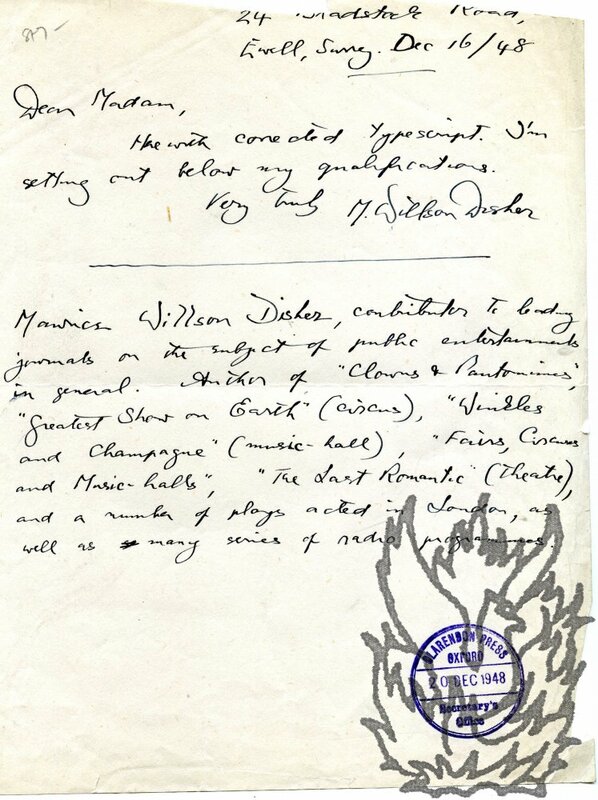 16, 17 and 31 December 1935; all three items on letterhead of Walker's studio in King Henry's Road, London. All three items 8vo. The first of two pages, and the other two of one page each. Texts clear and complete. Fair on aged, creased and slightly-discoloured paper. Discussing his disagreement with the architect of a building over the width of two proposed uprights. Walker considers that these 'would handicap the fullest expression'. The first letter carries a simple pencil diagram of the window. He feels 'we shall all have forgotten this point' when the window is seen 'in all its glory'. 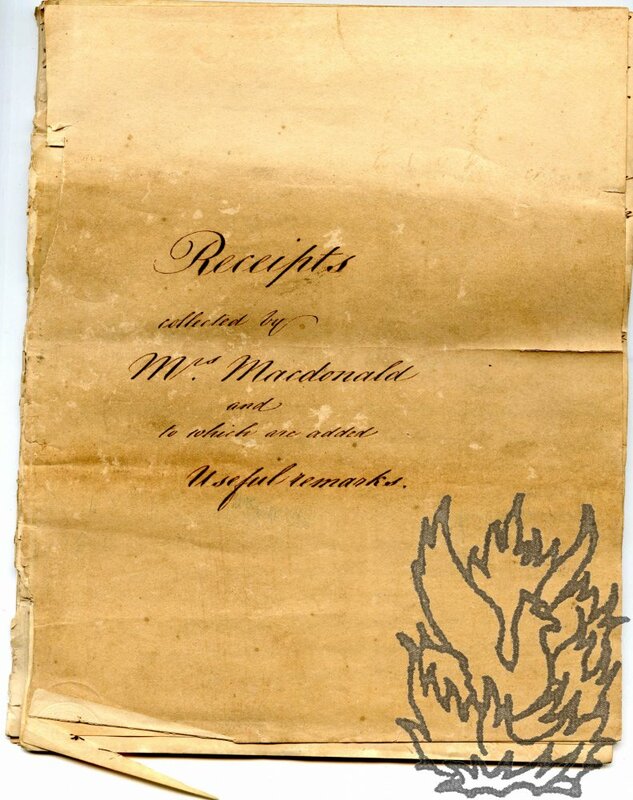 Manuscript Document Signed "Sydney", contents secretarial. Two pages (text), two blank (except for the naming of the parties and the date written on p.4) in bifolium, folio, fold marks, 2 closed tears of one inch on folds. 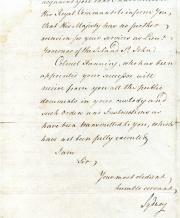 "Duplicate" written in top left corner (Sydney's file copy presumably).He acknowledges Patterson's letter of the 5th November 1786 (he officially ceased to be Governor on the 4th) in which Patterson has "stated certain reasons which have induced you to delay the carrying into execution His Majesty's Commands . 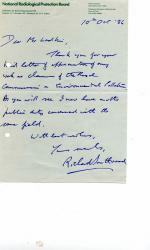 . . for delivering over the charge of the Island St.
Autograph Letter signed to Barret. 4to, 3 pp. Bifolium. Sixty-one lines of text. Clear and complete. Good, on lightly-aged and worn paper. Docketed 'William Burrit [sic] & Hawes | Charles Palmer | Mar 15 & May 52 Recd'. 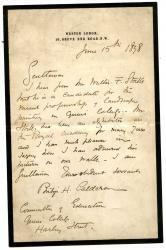 Reminding Barret (or Burrit) of a letter written by Palmer from America two or three years previously, which he answered on behalf of the Heir at Law Society. 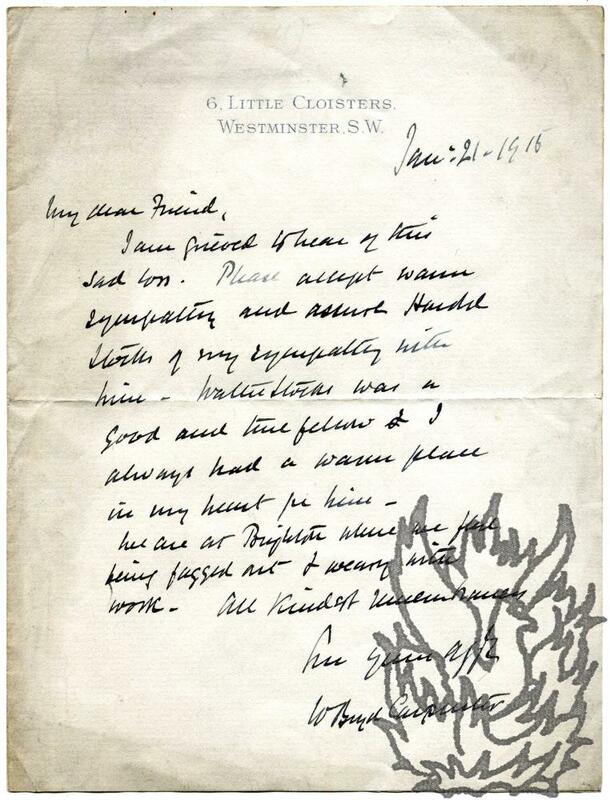 Autograph Letter Signed ('Churchill') to unnmamed male correspondent, regarding a plan to establish a new London theatre. 3 May [1835? ]; 24 Pulteney Street, Bath. 4to, 3 pp. Bifolium. Fifty lines of text. Clear and complete. Good, on lightly-aged and worn paper. He is willing 'to become a Patronizer' of the 'Society', and gives directions regarding shares. Suggests that 'the Committee should be a little more dovetailed with men of Rank & M.P.s as People always look at the Names in a Committee [...] I trust the Theatre will be West of Regent Street if Possible or of the Pantheon, & that the Committee Room may likewise be in the West'. 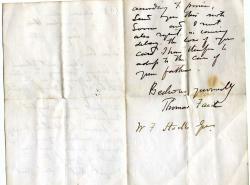 Part of Autograph Letter Signed ('Tho Hughes') to Twining. Strip of paper cut from letter, roughly 19 x 9 cm. 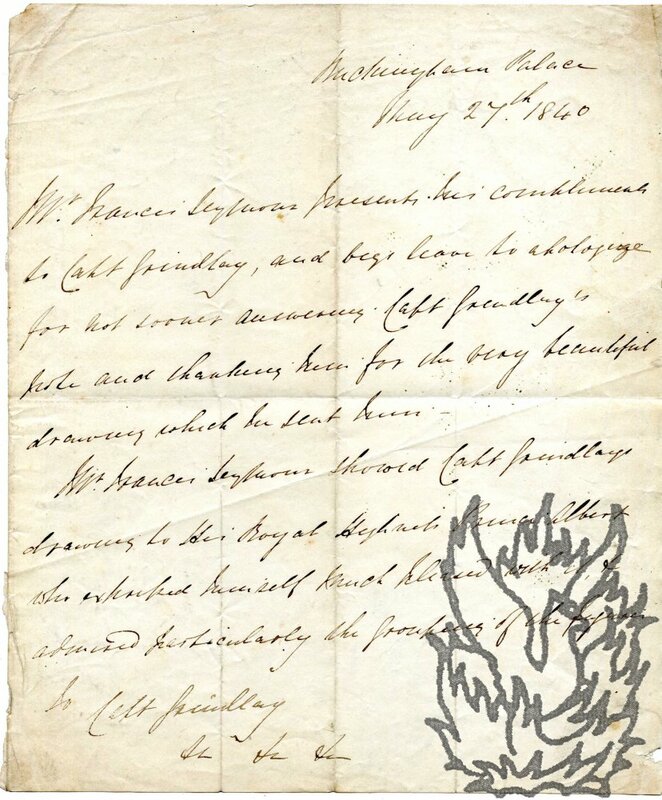 Poor, on lightly-stained paper, with small section lacking from the breaking open of the seal, resulting in loss of one word. 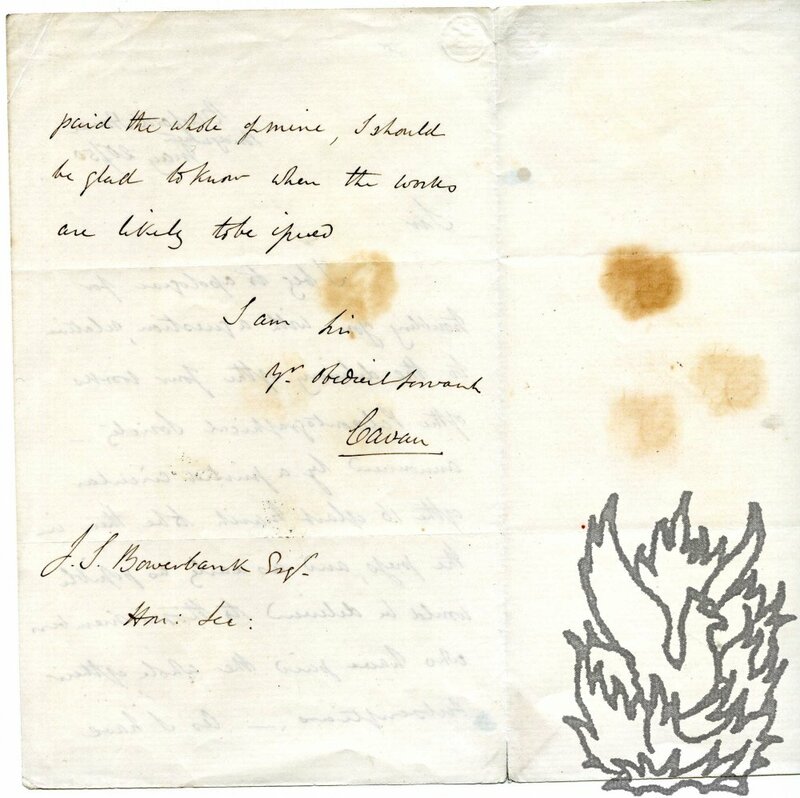 Postmark and fragment of address on reverse: '<...>d Twining Esqr | <...> Strand | London'. 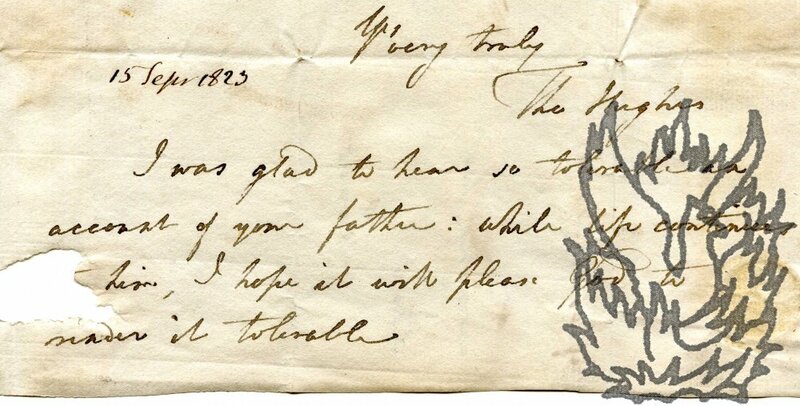 Reads 'Yrs very truly | [signed] Tho Hughes | 15 Sepr 1823 | I was glad to hear so tolerable an account of your father: while life continues <...> him, I hope it will please God to render it tolerable'. From the Twining archives. 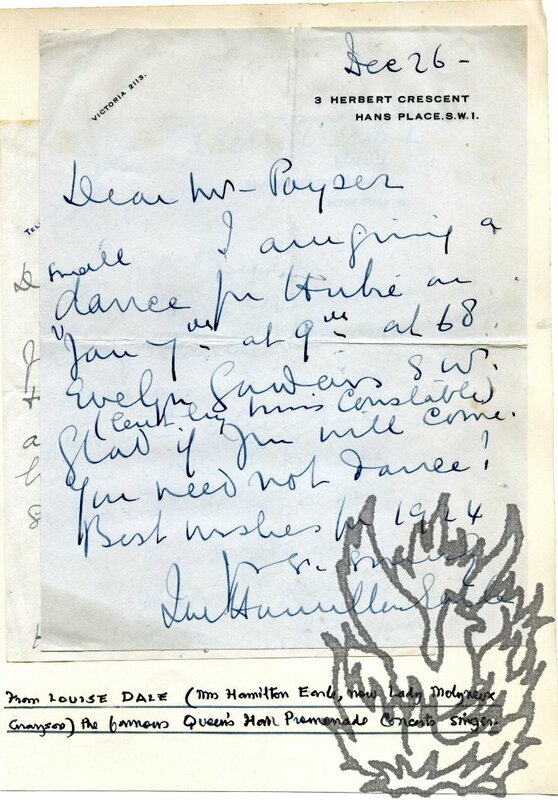 Autograph Letter Signed ('Napier') to Brown ('Dear Sam'). 16 April 1832; United Services Club, London. 4to, 3 pp. Bifolium. Twenty-two lines. Text clear and complete. Fair, on aged paper, with minor damage repaired with archival tape. Franked, with broken red wax seal and two postmarks, to 'Captain Saml Brown R.N. ', at Inverleith House, Edinburgh. Despite the fact that Martin has 'given the Credit of every improvement in the Service', Napier happens to know 'that other people are deserving of more credit than him', and he wishes to 'bring forward some great names like yours' to 'the Lords & the Country' at the second reading of the Navy Officer Bill. 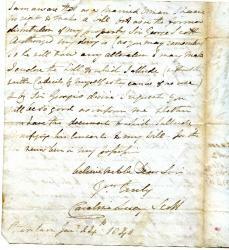 Autograph Letter Signed ('Caroline Lucy Scott') to a solicitor, regarding her will. 24 January 1840; Petersham, Surrey. 4to, 2 pp. Bifolium. Twenty-eight lines of text. Clear and complete. On aged and stained paper. 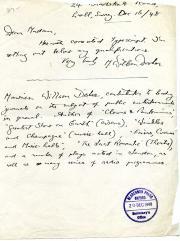 Docketed by the recipient on the reverse of the second leaf. 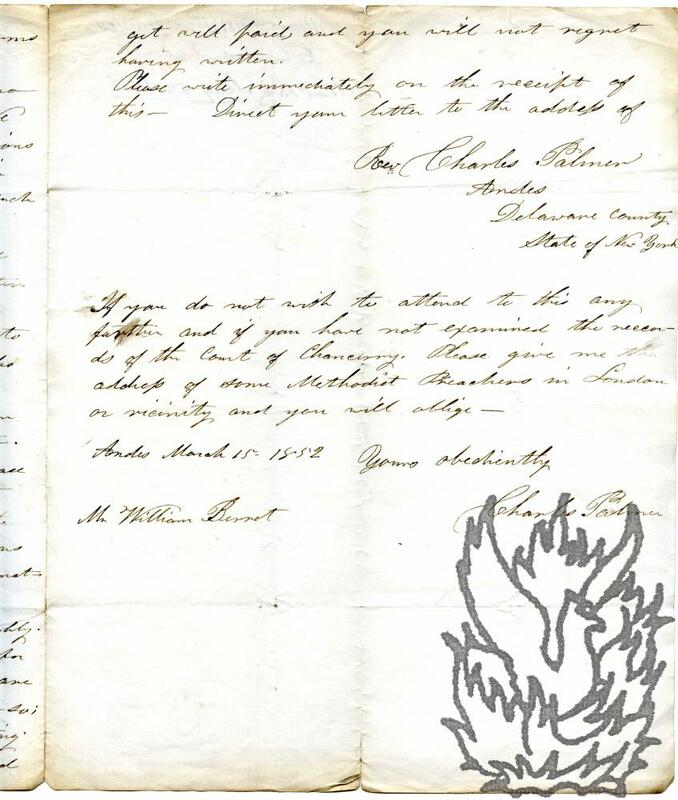 The recipient drew up her will in 1819, but 'the many changes from Deaths &c which have since taken place' mean that it 'no longer expresses my wishes in several particulars'. Asks a number of questions. 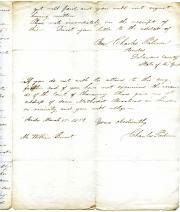 States that she is 'aware that as a married woman I have no right to make a Will but as in the former distribution of my property Sir George Scott authorized my doing so (as you many remember) so he will now any alteration'. Autograph Letter Signed ('E: Cavan.') to an unnamed male recipient. 18 May 1792; Upper Seymour Street, London. 4to, 2 pp. Bifolium. Twenty-six lines. Text clear and complete. On aged, creased and stained paper. Traces of paper mounts adhering. Docketed on reverse of second leaf. Requiring payment of her 'Rents for my House you at present Inhabit'. 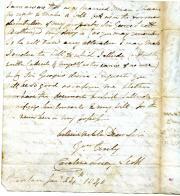 The recipient's non-payment of the rents since September 1790 'have occasioned me much Embarrassment. I can only imagine your reason for non Payment to have arrisen [sic] from the Suit that at present subsists at Law Respecting the Property & the House I have mentioned'. Gives reasons justifying immediate payment. 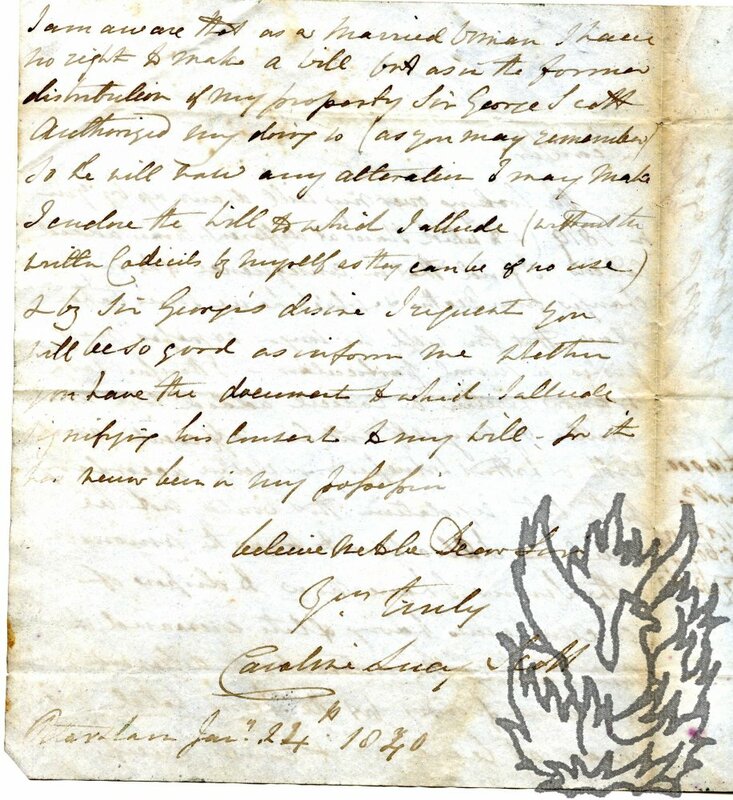 Autograph Letter Signed ('Cavan') to Bowerbank. 20 May 1850; Barford House, Bridgewater. 12mo, 2 pp. Bifolium. Thirteen lines. Text clear and complete. 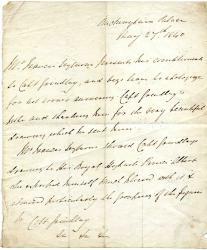 Fair, on lightly-aged and stained paper. With envelope, addressed in autograph. 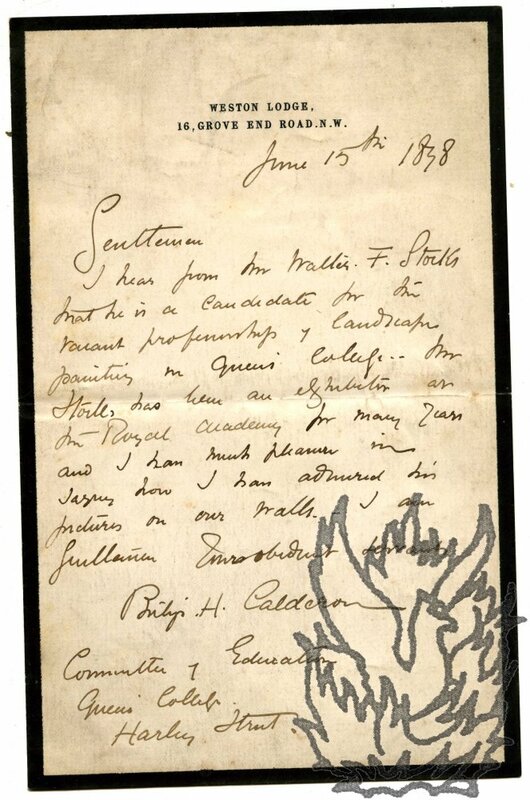 Addressed to Bowerbank in his capacity as Honorary Secretary of the Palaeontographical Society, London. Enquiring as to the publication date of four of the Society's books, 'to those members who have paid the whole of their subscriptions'. 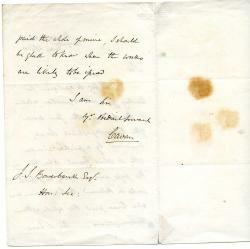 Autograph Letter, in the third person, to Grindlay, thanking him for presenting his book to Prince Albert. 27 May 1840; Buckingham Palace. 4to, 1 p. Nine lines. Text clear and complete. Fair, on aged and worn paper. 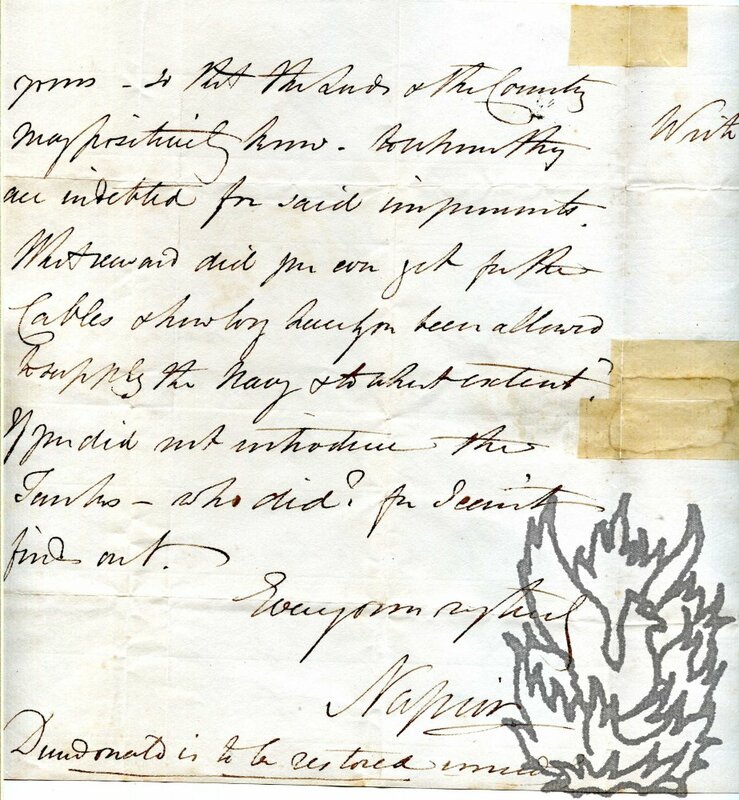 He apologises for 'not sooner answering Capt Grindlay's note and thanking him for the very beautiful drawing which he sent him'. 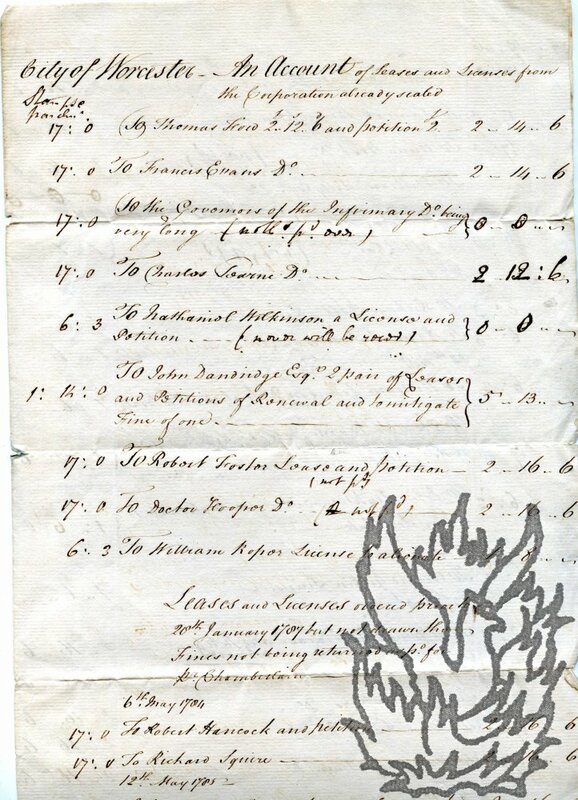 He reports that he showed the drawing to Prince Albert, 'who expressed himself much pleased with it, & admired particularly the grouping of the figures', referring to one of the original drawings for Grindlay's 'Scenery, Costumes and Architecture, Chiefly on the Western Side of India' (1826-30). 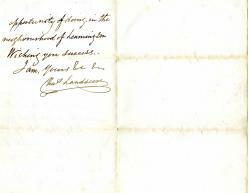 Autograph Letter Signed ('FitzClarence') to Grindlay. 12mo, 1 p. Bifolium. Ten lines. Clear and complete. Fair, on aged paper. Addressed, with three postmarks, on reverse of second leaf, to 'Capt Grindlay | North Bank | St John's Wood'. 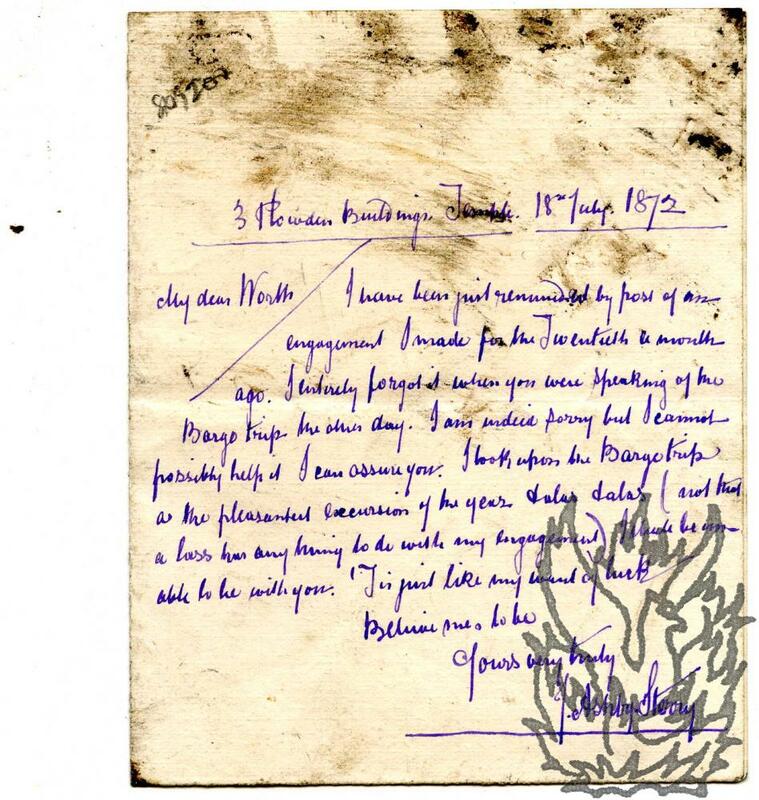 Letter of introduction for 'Mr Vivian a Subscriber to the Oriental Translation Fund', who is 'turning his mind to Hindostanee Architecture'. 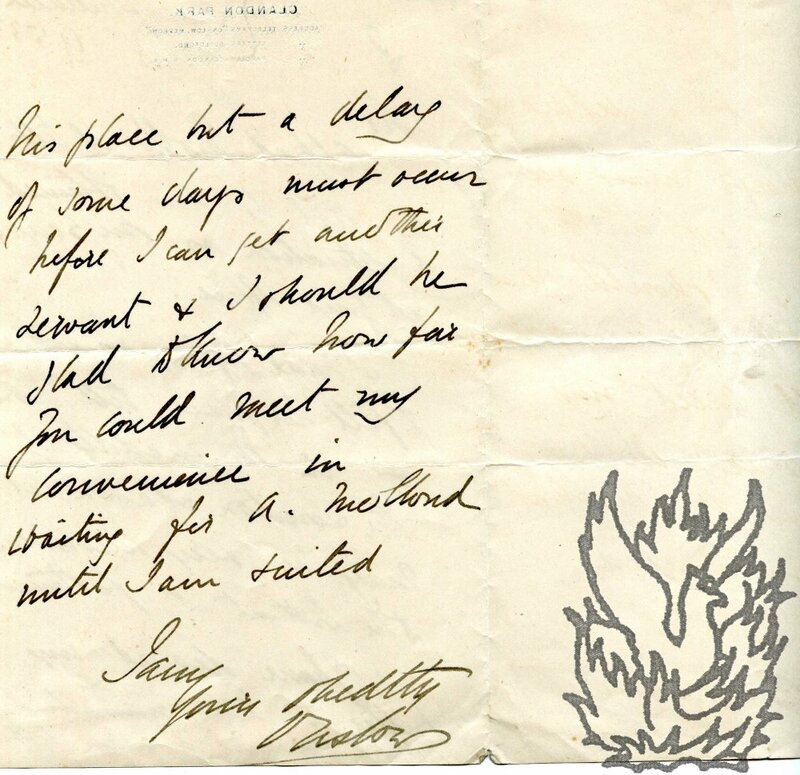 Suggests a date for them to meet, when 'any of your Drawings &c he would be glad to see'. 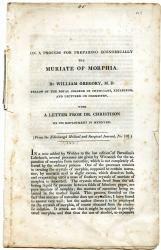 Grindlay was author of 'Scenery, Costumes and Architecture, Chiefly on the Western Side of India' (1826-30). 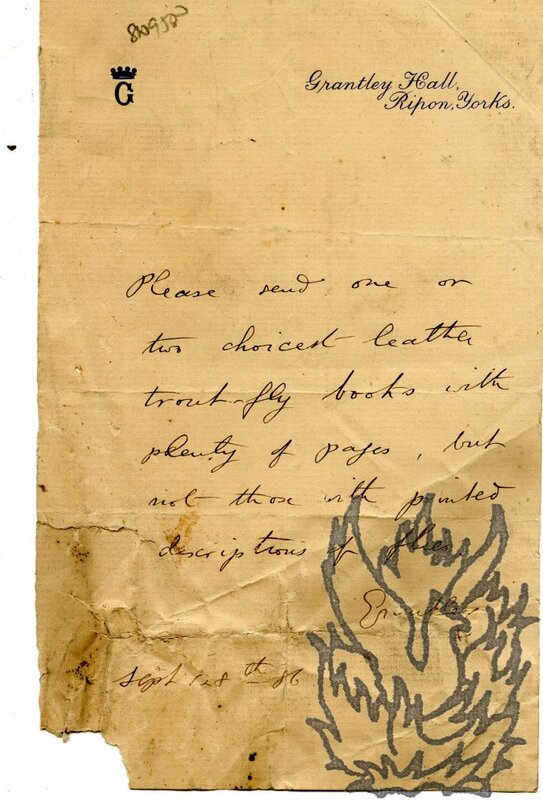 Autograph Note Signed ('Grantley') to unnamed bookseller, requesting 'trout-fly books'. 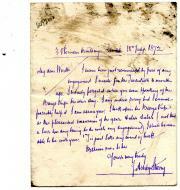 28 September 1886; on letterhead of Grantley Hall, Ripon, Yorkshire. 12mo, 1 p. Aged, grubby and creased, with slight loss to bottom left-hand corner, and closed tear to one margin. Requesting 'one or two choicest leather trout-fly books with plenty of pages, but not those with printed descriptions of flies'. Autograph Letter Signed ('J. 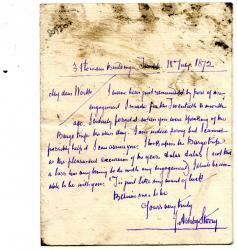 Ashby-Sterry') to 'my dear Worth'. 18 July 1872; 3 Plowden Buildings, Temple. 16mo, 1 p. Bifolium. Eight lines. Text clear and complete. On stained, aged paper. 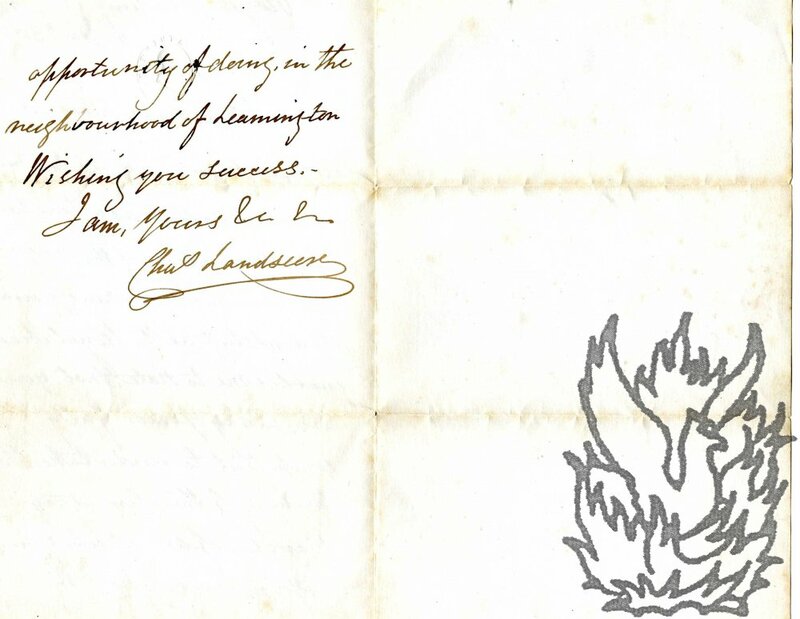 An uncommon autograph, written in a distinctive stylised hand in purple ink. Reluctantly announcing his inability to go on 'the Barge trip', which he had looked upon 'as the pleasantest excursion of the year, & alas & alas (not that a lass has any thing to do with my engagement) I shall be unable to be with you'. 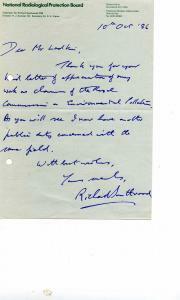 Autograph Note Signed ('Richard Southwood') to 'Mr Ladkin'. 10 October 1986; on letterhead of the National Radiological Protection Board. 8vo, 1 p. Fair, on lightly-aged paper, with a couple of punch holes to the left margin (one through a word of text). 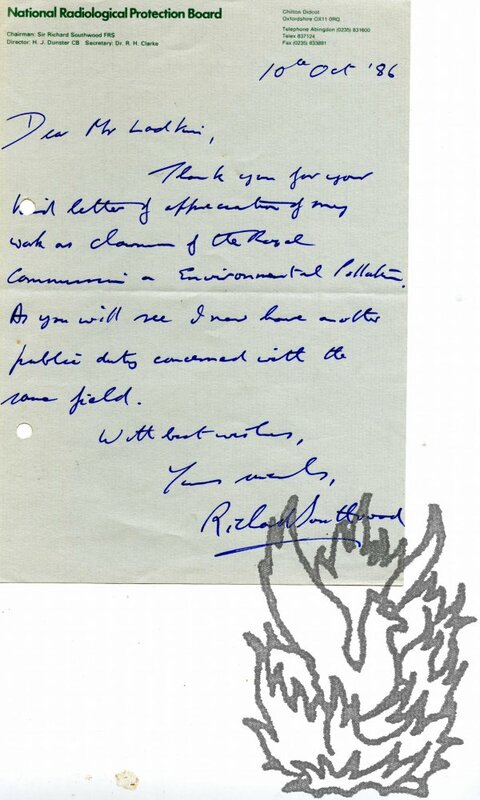 Thanking him for his 'kd letter of appreciation of my work as chairman of the Royal Commission on Environmental Pollution'. He now has 'another public duty concerned with the same field'. 12mo, 2 pp. 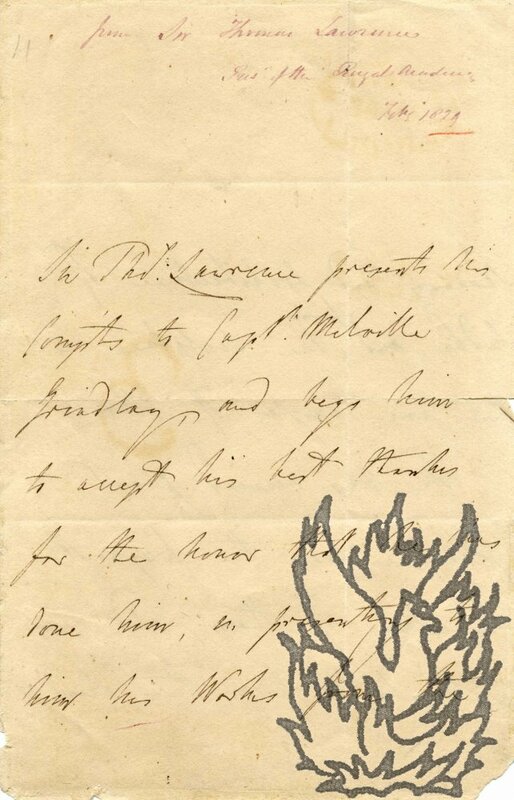 First leaf of letter only. On worn aged paper, with slight loss and chpping to extremities. 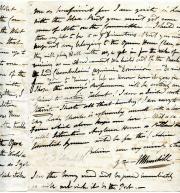 Docketed by Melville in red at head of first page with date 'Feby 1829'. Begins 'Sir Thos. Lawrence presents his Compts to Captn. Melville Grindlay, [...]'. Thanking Grindlay for the gift of 'his Works from the Scenery and Architecture of India; and from the Sculpture in the Cave Temples of Ellora'. 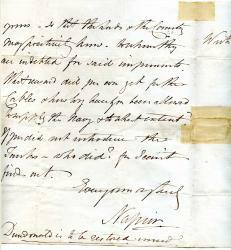 Lawrence has 'received great pleasure from the frequent inspection' of the works. Ends abruptly, at foot of second page, 'and very particularly, from the view <...>'.